Stalkers and roadside Romeos, better watch out for The Winners. That's the name of Kolkata's brand new all-women motorbike squad. 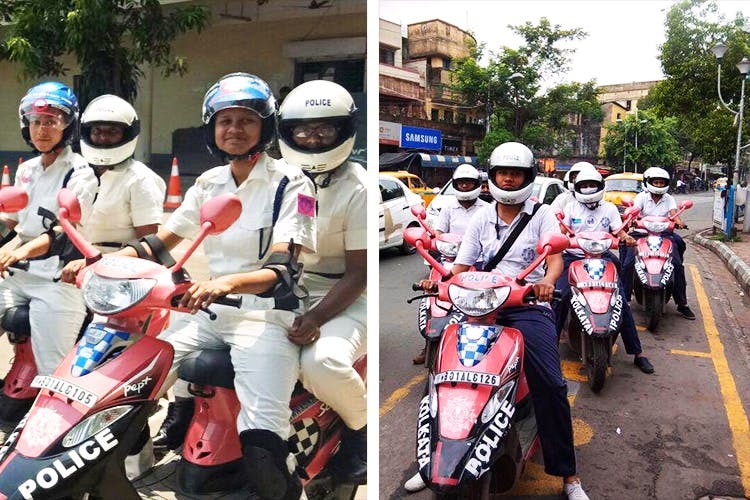 Dressed in the whites of the Kolkata Police and moving around on their blue-white and pink-black scooters, the 24-strong all-women patrolling team will make public places safer for women. The squad has been equipped with cameras, each scooty will have two constables and will keep a special eye on schools, colleges and parks (here's hoping that doesn't backfire on lovers and couples!). They will also be pulling up women who break traffic rules, though. So better watch out! Like we said earlier, Kolkata cops just keep getting cooler. First the Harley Davidson squad (read about that here) and now our own version of Charlie's Angels (we can hope! ).